"Children. The Sick. — As you write these words, don't you feel tempted to use capitals? The reason is that in children and in the sick a soul in love sees Him." 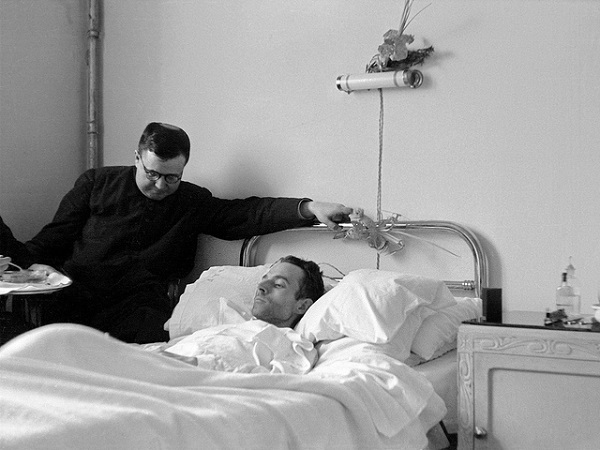 The Novena for the Sick, with many quotes from St. Josemaria's writings, encourages accepting suffering with a Christian spirit, uniting it to Christ's passion and death, and asks God for a cure if such be his will. Ever since St Josemaria died on June 26, 1975, hundreds of people have written about favors they have received through his intercession: material help, conversions, firm decisions to return to the practice of the Faith, and also the healing of people who were sick. The Novena for the Sick, with many quotes from St. Josemaria's writings, helps one to accept suffering with a Christian spirit, uniting it to Christ's passion and death, and asks God for a cure if such be his will.